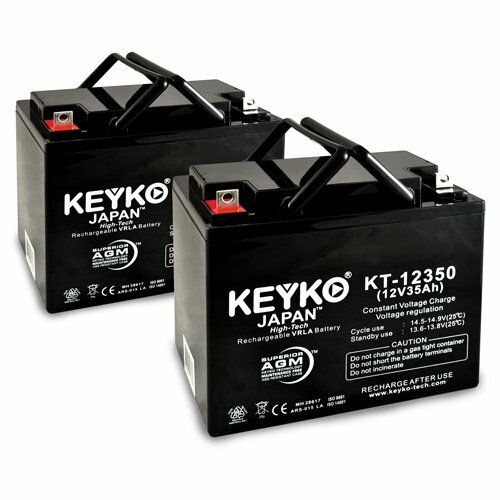 * KEYKO ® replacement batteries meet and even exceed the strictest device's manufacturers specification needs, to ensure its High Japanese Standard quality, meaning taking care from all Row material and components to the Final Product, tested automatically One by One. Replace any brand and fit perfectly any device with this same capacity: CASIL CA12350 POWERSONIC PS-12350 UPG UB12350 12FM35 RHINO SLA35-12 . Check all Product details and Product description below for more details.